The following list of good rated G movies should provide hours of entertainment for your children. In fact, you may also find yourself being swept into the magical lands depicted below. Technically, some of these films were made before the G-rating was even invented, but there’s little doubt that they would’ve received the most family-friendly of film certificates. The Wizard of Oz (1939) – When a 12-year-old orphan named Dorothy (Judy Garland) and her dog, Toto, get swept up in a tornado, she soon finds herself in the magical land of Oz. Setting out to find The Wizard and return home, she must dodge The Wicked Witch of the West and her army of flying monkeys. A magical musical that kids are sure to love. Swiss Family Robinson (1960) – When the Robinson family ends up stranded on an island following a chase with pirates, they must explore their surroundings and fend off an inevitable attack by the same cutthroats who caused them to be shipwrecked. An adventure-filled tale from Disney that’s currently being remade for a 2012 release. 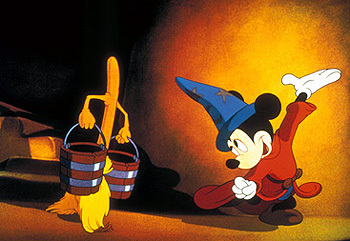 Fantasia (1940) – While this series of eight animated segments from Disney is bereft of dialogue, it does include classical music from such composers as Bach, Stravinsky, and Beethoven. Small kids may get a little frightened during the segment known as Night on Bald Mountain, as it features a massive demonic figure known as Chernabog (although I thought it was pretty darn cool). Abbott & Costello Meet Frankenstein (1948) – This was the first of several films in which the comedic duo encounters Universal monsters, and it still remains my favorite of the bunch. Dracula and the Wolfman also get in on the chills and laughter, and the film is fortunate to have Lon Chaney Jr. and Bela Lugosi grace the screen. Finding Nemo (2003) – Pixar hits another homerun with this computer-animated tale about an overprotective clownfish (voiced by Albert Brooks) who sets off in search of his missing son, Nemo (Alexander Gould). Also featuring the voice talents of Ellen DeGeneres, Willem Dafoe, Brad Garrett, and Geoffrey Rush. Peter Pan (1953) – A group of British children are taken to Never Land by the eternally young boy Peter Pan and his fairy sidekick Tinkerbell. There, they’re encouraged to act like children and never grow up, but the dastardly pirate Captain Hook looks to spoil everyone’s fun. A classic animated tale from Walt Disney. The Rookie (2002) – Dennis Quaid stars as a high school baseball coach who makes a bet with his team: make the state baseball playoffs, and he’ll try out for a major league team. Imagine his surprise when he actually makes it! Based on a true story. Spirit: Stallion of the Cimarron (2002) – Following the adventures of a young mustang named Spirit, this animated Dreamworks film features voice work from Matt Damon and James Cromwell. After encountering humans for the first time, Spirit is captured and caught in the middle of the Indian Wars, which leads to an exciting chase across the American West. Toy Story (1995) – The first Disney film to use only computer-generated images, Toy Story tells of the chaos caused when a young boy named Andy receives a Buzz Lightyear (Tim Allen) toy for his birthday. 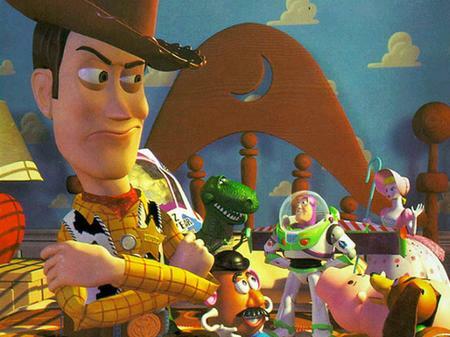 This doesn’t sit well with the other toys, especially Woody (Tom Hanks), a wooden cowboy who’s protective of his status as the child’s favorite plaything. Willy Wonka and the Chocolate Factory (1971) – Gene Wilder gives a joyful performance as Willy Wonka, the eccentric owner of a candy empire who holds a contest allowing five children to tour his factory. As the winners enter, they’re confronted by the diminutive Oompa-Loompas, rivers made of chocolate, and the coveted Everlasting Gobstopper. This entry was posted on Wednesday, May 12th, 2010 at 6:34 pm and is filed under Good Movies. You can follow any responses to this entry through the RSS 2.0 feed. You can leave a response, or trackback from your own site. Gene Wilder is still singing his grea tsong in that new commercial. I foget what it is seling, but the sound track brings back good memories of watching Willy Wonka and the Chocolate Factory. The newer one is also fun to watch too.